That’s all it takes to draw text along a path. You are not limited to circles; you can draw along any Path. 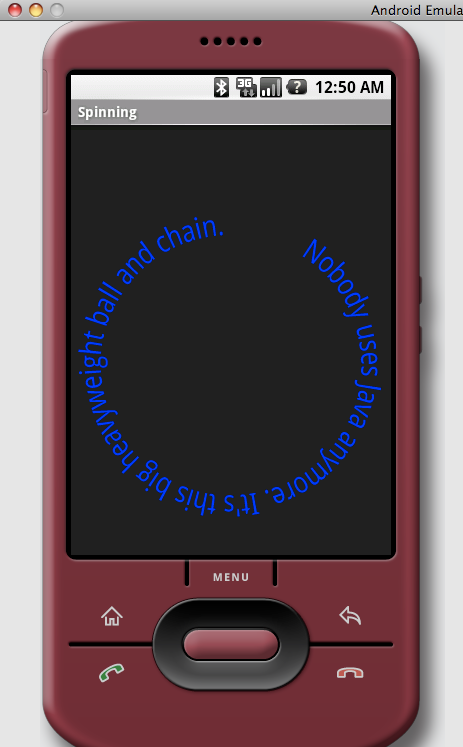 Mine makes the text rotate about the center, repeats forever, and plays forwards and backwards. The duration of 10000L represents the total time it takes for one forward/backward loop to complete. That’s the remainder of the code. Drop a file named jobs.png into res/drawable. Hit F5 to Refresh Eclipse, and R.java automatically updates. 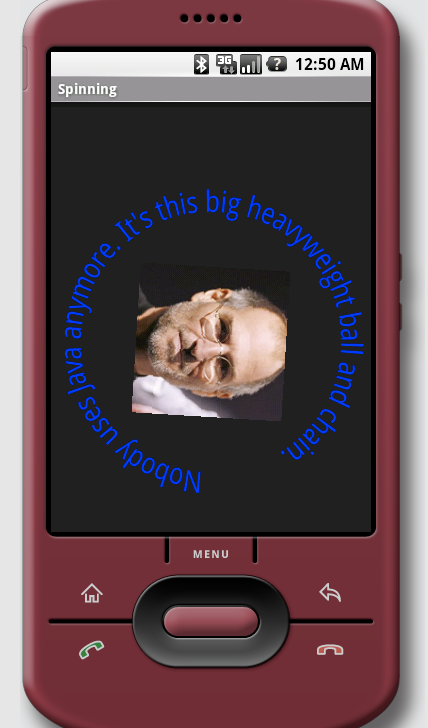 Now Steve rotates along with the text! Posted on Thursday, November 13th, 2008 at 10:30 pm in Android.